Friday, April 15, 9:30pm-12:00am, Pavilion 9 Join the Cirque du Punk troupe for an edgy, exciting circus extravaganza you'll never forget! 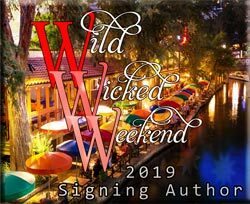 There will be a goody table with author promo, books and swag bags while they last! The Bookworm Box, 204 Main St.
Meet Sierra Cartwright at her book signing. The Book Lover Event of the Year!